When you have a mental health issue and a substance abuse problem, you may think that there is no way out. Fortunately, that is not the case. While dealing with alcoholism or drug addiction when you have other issues is a challenge, it is not impossible. The first thing to understand is how your mental health issue is impacting your substance abuse disorder. The next is how to find the right type of treatment for both conditions. When a person has both a mental health issue and a substance abuse problem, it is referred to as either a co-occurring disorder or a dual diagnosis. One of the most common co-occurring disorders with substance abuse is bipolar disorder. Here is what you need to know about bipolar disorder as it relates to addiction, some of the symptoms of bipolar disorder, and how to find effective drug addiction treatment for co-occurring disorders. Bipolar disorder was once referred to as Manic Depression. Bipolar disorder is characterized by extreme emotional and physical highs and lows, which can bring intense mood shifts and changes in energy levels. These shifts, when undiagnosed or unregulated, can make life difficult in the best of circumstances. Many who suffer from bipolar disorder have additional health, social, and economic difficulties. Substance abuse is one of the biggest problems facing people with bipolar disorder. The National Institutes of Health and NIDA report that more than half (56 percent) of people with bipolar disorder have a history of drug abuse and 44 percent have a history of abuse alcohol. 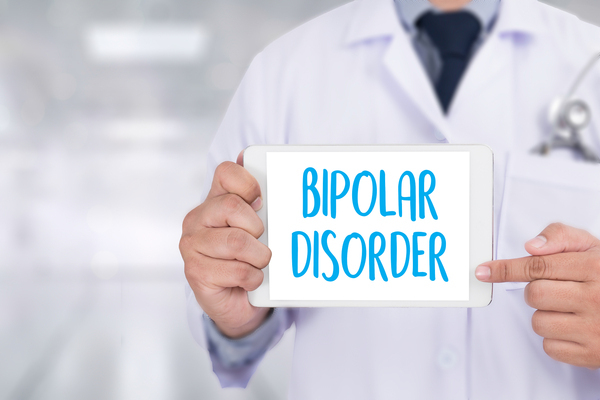 There are several reasons for this, including the fact that drugs and alcohol could relieve some of the most severe symptoms of untreated bipolar disorder. While drinking or using drugs might seem like a solution for those suffering from bipolar disorder, it is never a good decision. Not only is substance abuse dangerous in itself, but abusing drugs and alcohol can also worsen the effects of bipolar disorder. Those with a co-occurring disorder will be less likely to follow psychiatric treatment recommendations and have a greater chance of attempting self-harm or suicide. Bipolar disorder is difficult to diagnose while a person is using drugs, drinking, or even detoxing because some of the symptoms can be confused with those of severe drug or alcohol abuse. Among these are hallucinations, grandiose feelings, impaired judgment, fatigue, appetite changes, and feelings of hopelessness. Co-occurring disorders in addiction recovery that involve bipolar disorder require specific treatment. In the past, mental health issues and addiction recovery were treated separately and often in separate facilities. It has now been determined that those suffering from co-occurring disorders will most benefit from a drug addiction treatment program that is fully integrated. This means that your treatment will address all aspects of mental health and addiction in one facility, through a more holistic approach. The Recovery Village has a dual diagnosis treatment program that is structured to meet the complex needs of patients with co-occurring disorders. Patients are treated in an inpatient treatment facility by a collaborative team of physicians, addiction counselors, psychologists, and other professionals that are trained to help patients with a dual diagnosis. Contact us to learn more about treatment options for co-occurring disorders or to discuss our admissions process.